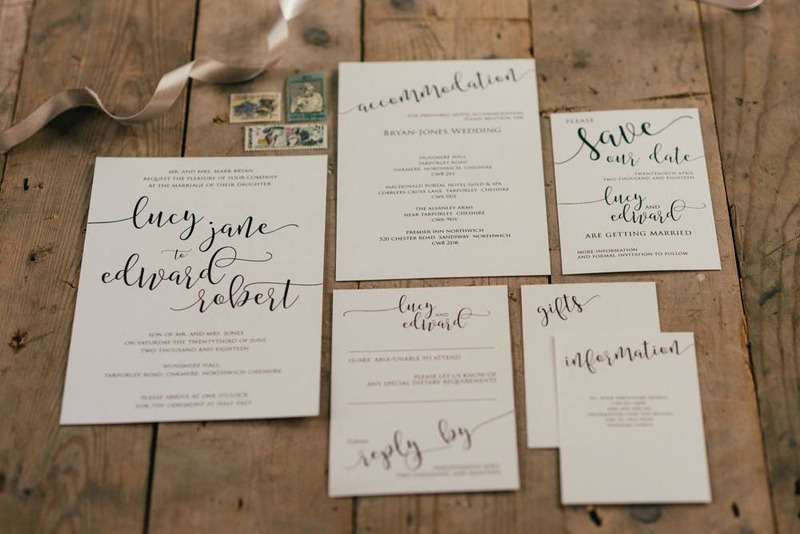 The Only Woman that gets more excited about Wedding Stationery than you do! 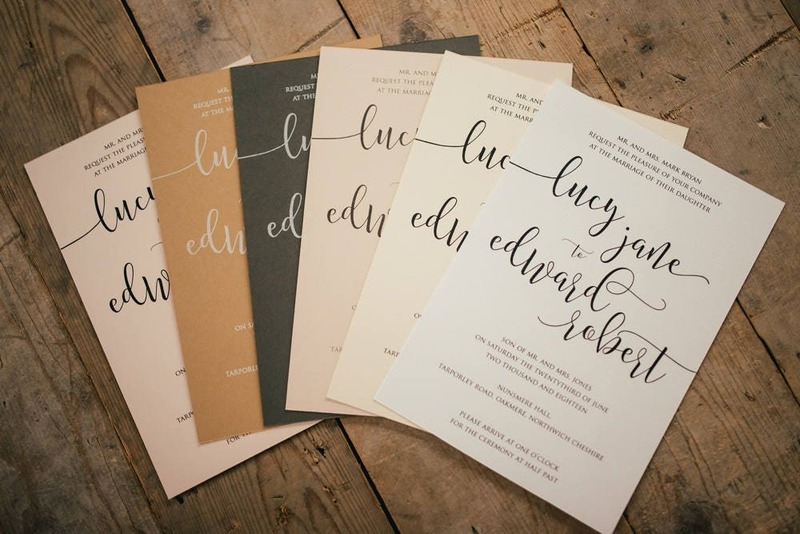 'Neutral Calligraphy' is one of my brand new ready to go, 'off the peg wedding stationery collection', aimed at couples that are looking for premium stationery. 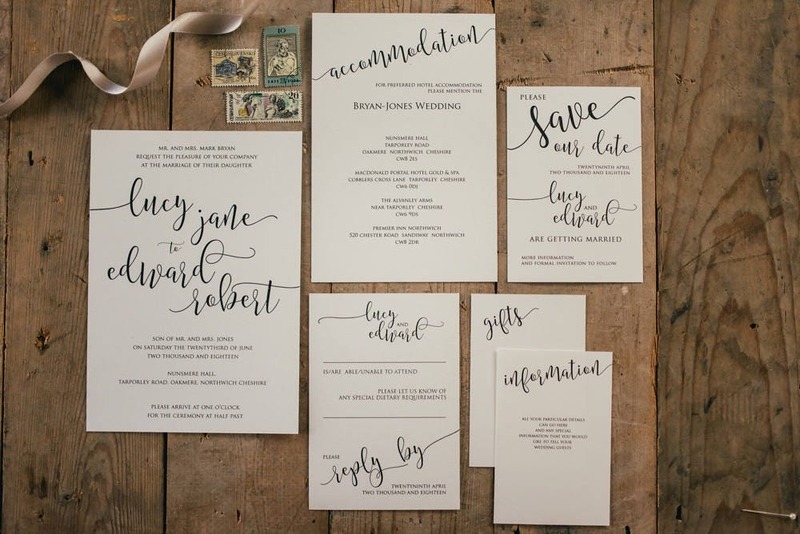 Take a look and simply choose the items that you need for your wedding and I will customise them with your wording and wedding details. Then they will be professionally printed, packaged and posted out to you. This listing is for a sample pack, digitally printed onto colorplan 270gsm bright white board. Sample packs are shipped as shown and cannot be customised. You will also receive our comprehensive pricing guide with FAQ's and Terms and Conditions, which will contain all the information you need to know about customising and placing your order. 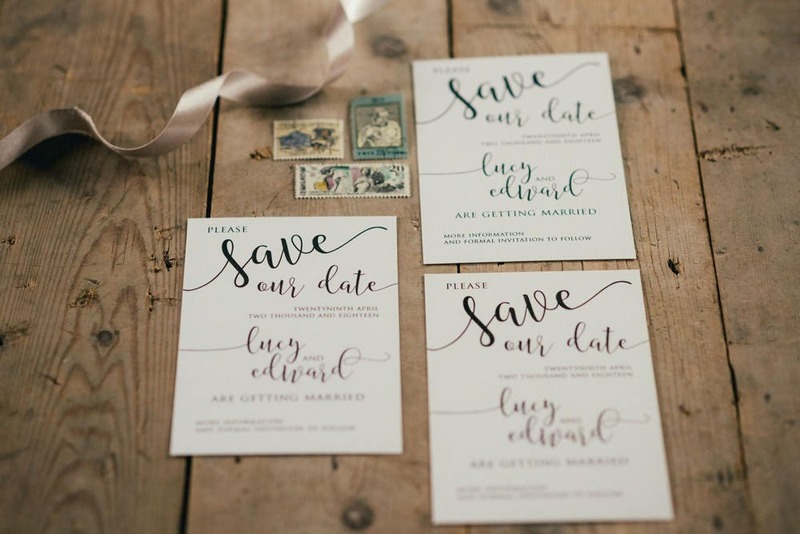 The purchase price of your sample will be deducted from your total when you place your stationery order. 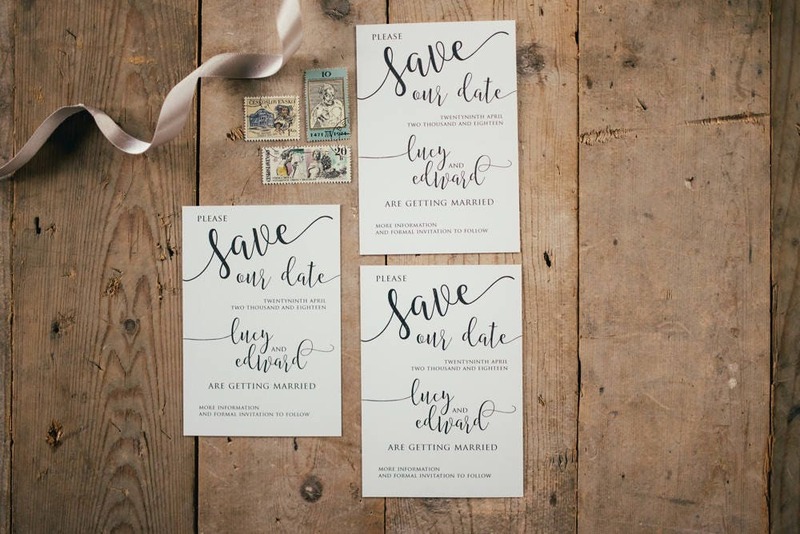 Due to the custom nature of wedding invitations, returns and exchanges are not accepted.